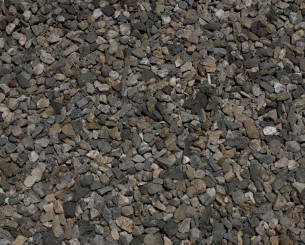 Oberon Quarry supplies Quality Blue Metal Rock Materials for road works, construction, concrete, Roadbase, aggregate, cement, precoat, gravel and any other uses you have for rock. We deliver the Blue Metal material you require throughout Sydney and the Central Tablelands. Our experienced Salesmen and staff can discuss, help and advise on what materials you may need and your budget requirements for the job. 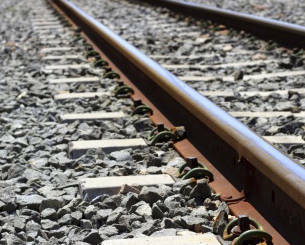 Quarry blue metal products are used in the construction of roads, railway tracks, car parks and many areas of construction. All our products are regularly tested by and Independent Laboratory and results are available to customers and potential customers upon request. 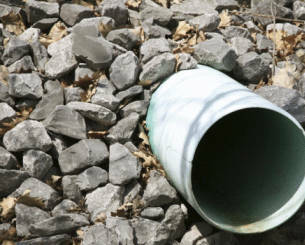 If requesting a quote, please include details of the type of materials required, amount required and if the materials desired are to be delivered (included destination) or picked up. If you don't know how much or what you want for your job, state that too! Give us as much information as you have and we'll get back to you as soon as we can to discuss your needs. 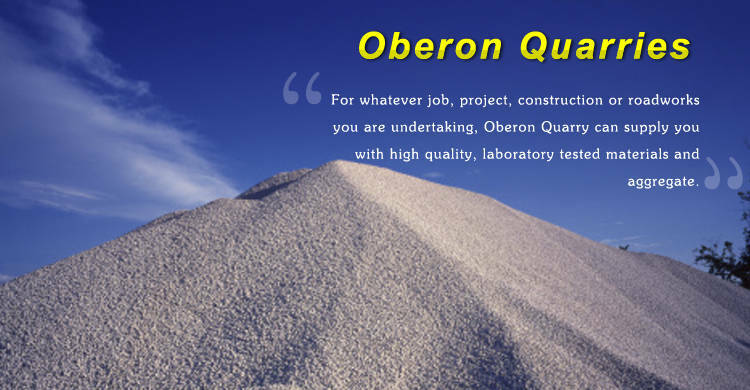 For whatever job, project, construction or roadworks you are undertaking, Oberon Quarry can supply you with high quality, laboratory tested materials and aggregate. Oberon Quarries are an independent Quarry, and has a deposit of high quality basalt blue metal with reserves in excess of 100 million tonnes, that is located 5 kilometres south east of the Oberon township. 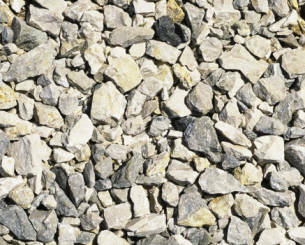 Oberon aggregates conform to the requirements of AS2758.1, 1998, Aggregates and Rock for Engineering Purposes, Part 1 Concrete Aggregates. 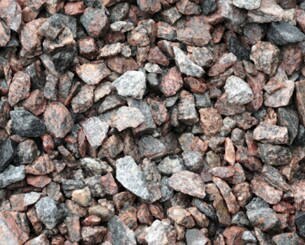 Briefly, the basalt aggregate (Blue Metal) is low shrink and classified as being non-reactive to alkalis. It also has a Sodium Sulphate, plus Wet / Dry Strength Variation Classification of A1.Petrographic analysis reveals that silica rich rocks were not detected.